We offer caskets ranging from $570.00 to $21,000 in a variety of materials and styles. 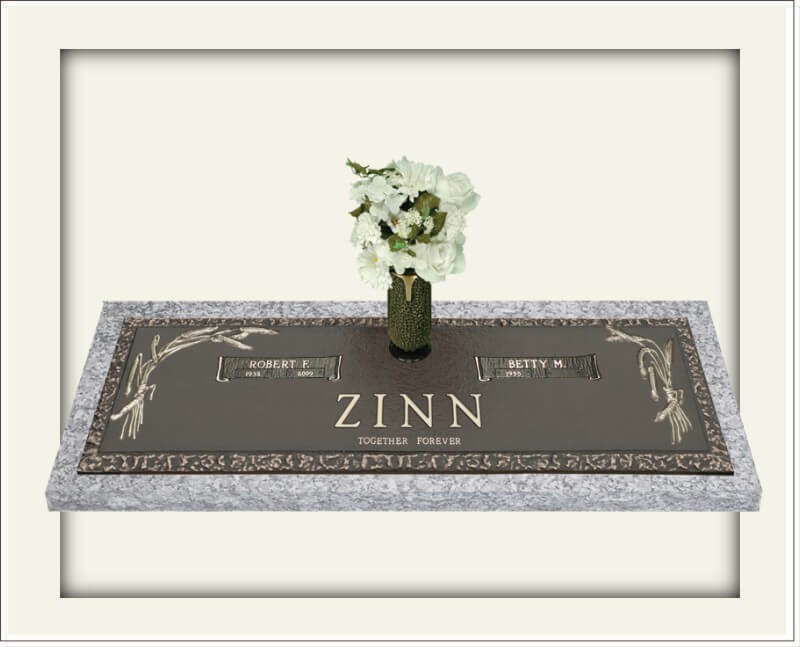 We carry a line of steel, polymer, as well as concrete burial vaults. We offer a variety of urns for the cremated remains of a loved one. The construction of these is in a wide range of materials. Wood, metal, natural stone, or synthetic can be used. We offer many different types of monuments ranging from cast bronze, which is at ground level, to the more traditional upright granite. All of these may be customized to one's own personal preference. A catalog with bronze options can be downloaded Here. For peace of mind as well as an extra safeguard for identification, we obtain finger prints when a loved one enters our care. They can be used to create keepsakes as well.